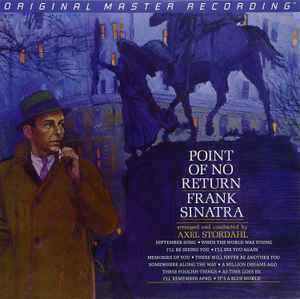 Frank Sinatra: Point Of No Return - MFSL 180g LP (MFSL 1-409) Item still sealed from new. Will be very carefully packed and sent with insurance and tracking ID. If you purchase multiple items, we will combine shipping. brand new factory sealed no imperfections lp MOBILE FIDELITY in mint condition.Sent with tracking CHECK THE FEEDBACK FROM OUR BUYERS! !